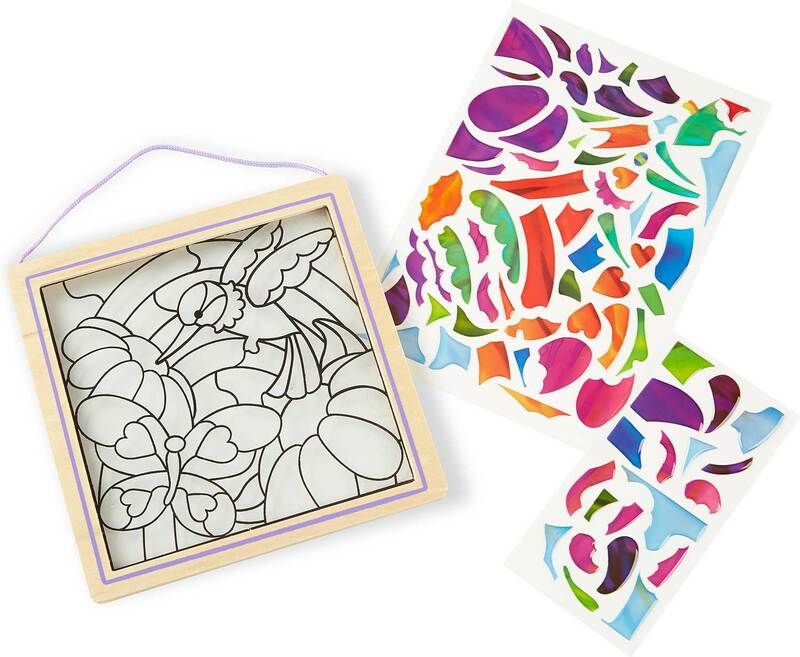 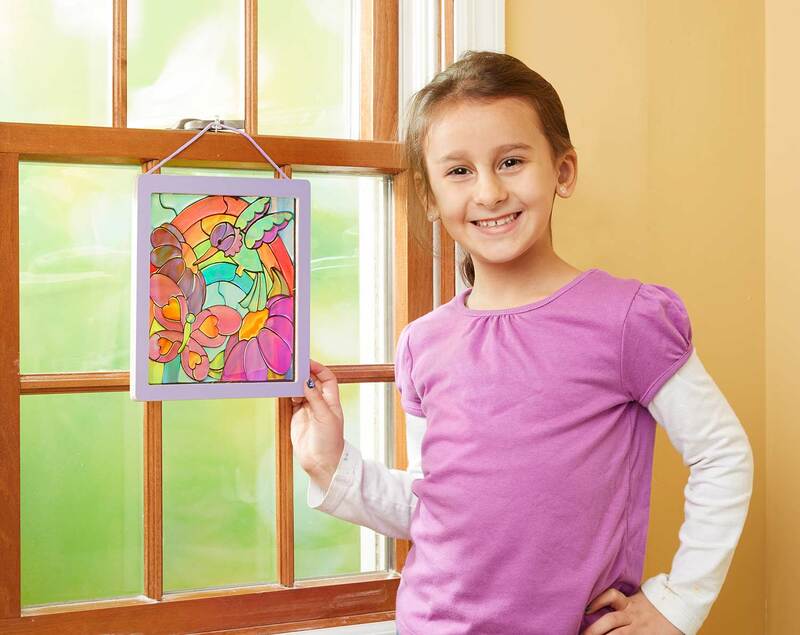 This guided arts-and-crafts activity gives young artists everything they need to create a shimmering "stained glass" light catcher. 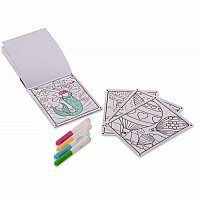 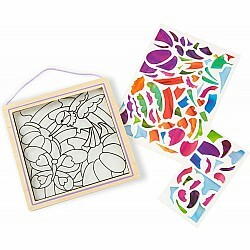 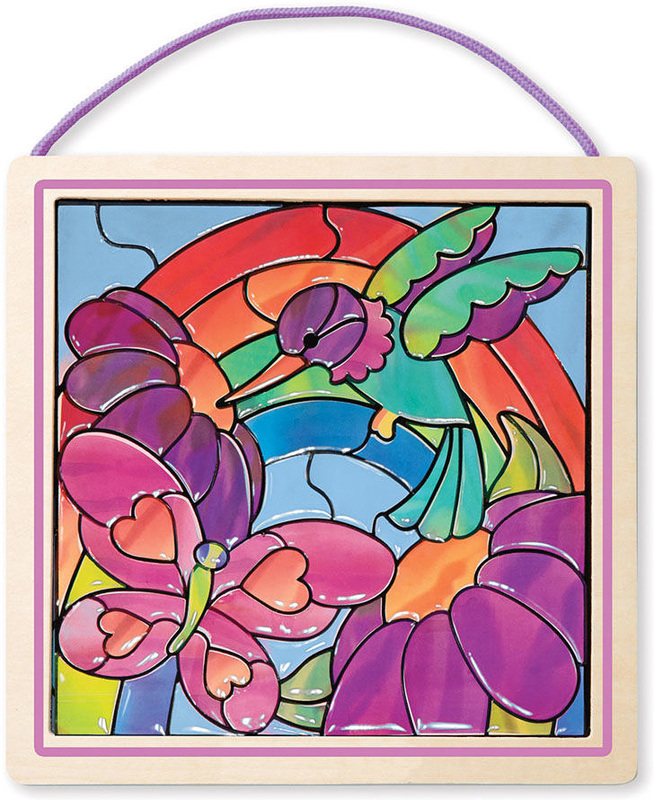 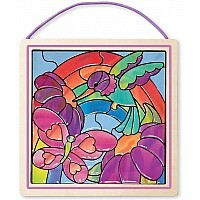 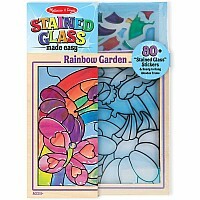 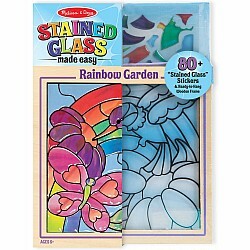 The results are gorgeous: Shaped sticker-gems depict a hummingbird, flower and butterfly beneath a rainbow-filled sky. 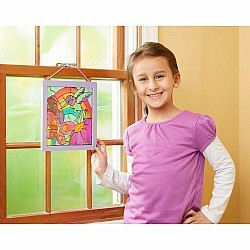 Hang the finished artwork in a sunny window to see this pretty scene shimmer to life! 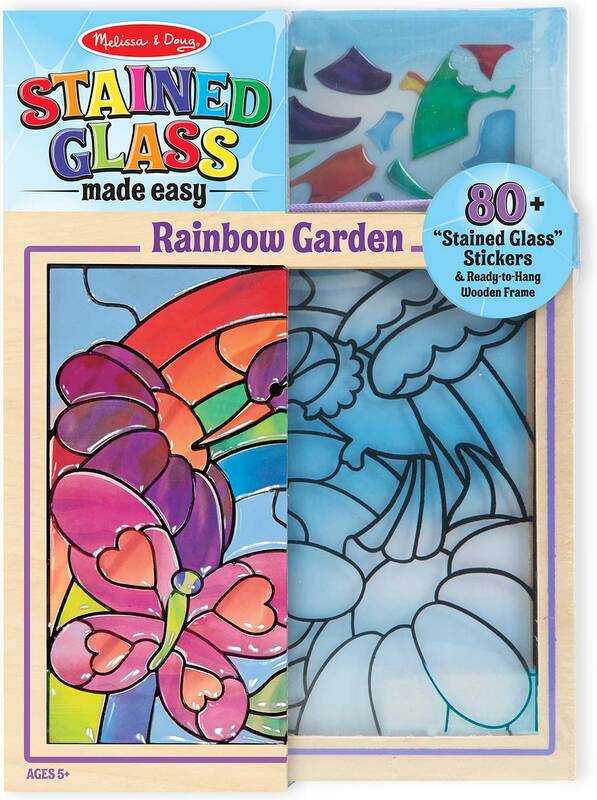 It's easy to create: Just match the stickers to the number key and place them on the see-through design template. 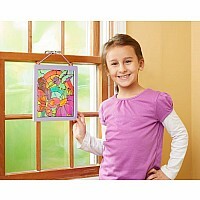 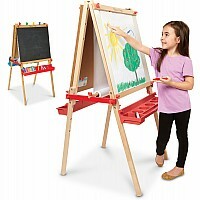 Young artists will be enchanted by the glittering results, and proud to show them off in the ready-to-hang frame. 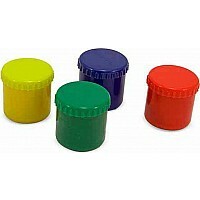 Measures approximately: 0.55 x 10.15 x 14.65 inches..